Two new Allied Races—the Kul Tiran humans and Zandalari trolls—have joined the Battle for Azeroth. If you’re ready to recruit them and have been thinking about using one of our optional character services to play one, for a limited time we’re making it a little easier for you to make the change. 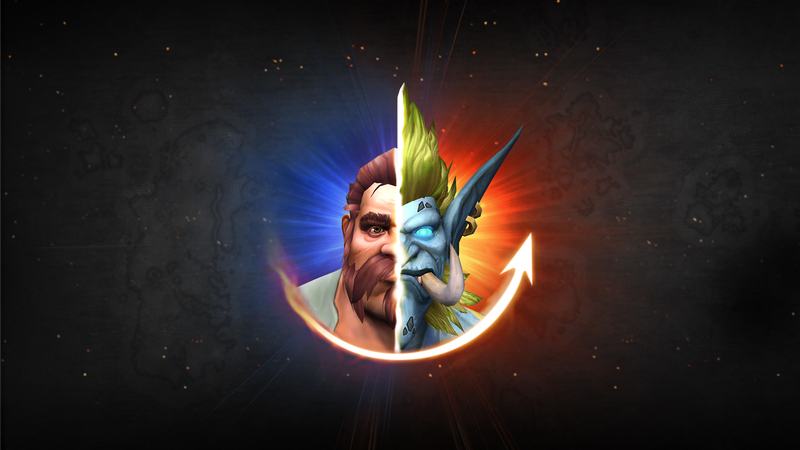 Starting today, you can save 30% on a Race Change, Faction Change, and Character Transfer—simply head to the World of Warcraft in-game shop from now through March 31, 2019 to get started. There’s no better time to upgrade your account or introduce a friend to the world of Azeroth. Purchase World of Warcraft: Battle for Azeroth or the World of Warcraft Complete Collection and get 15€ off through March 31, 2019. Visit the Blizzard Shop today!